Happy October - month of the pumpkin! 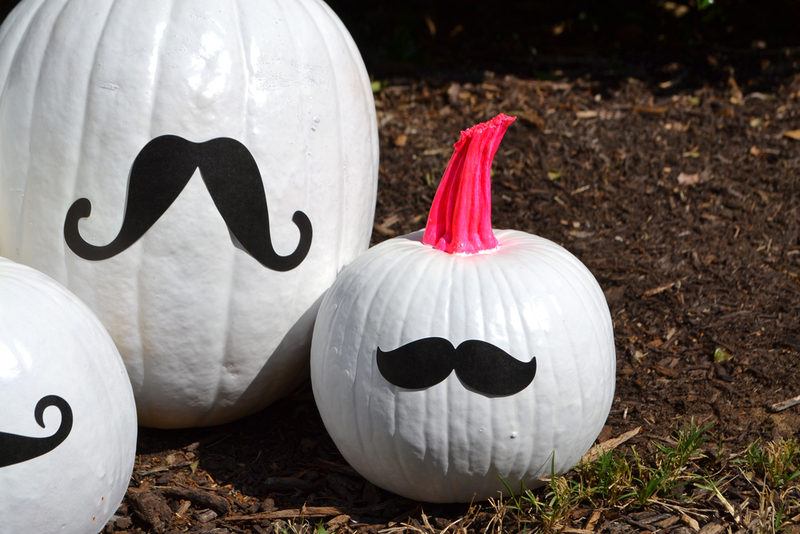 ...and to kick it off, here's a super simple, super fun pumpkin decorating project I completed using spray paint, craft paint, and a sheet of mustache mambiSTICKS! 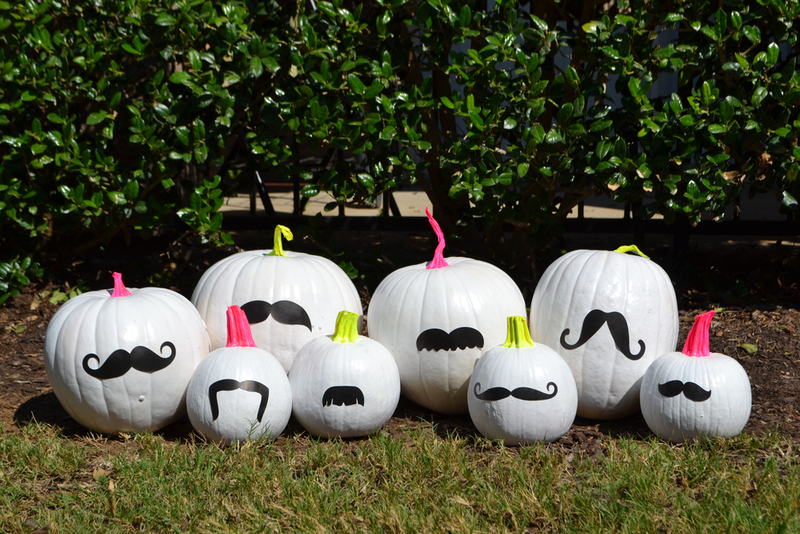 First, I spray painted the pumpkins in semi-gloss white paint. 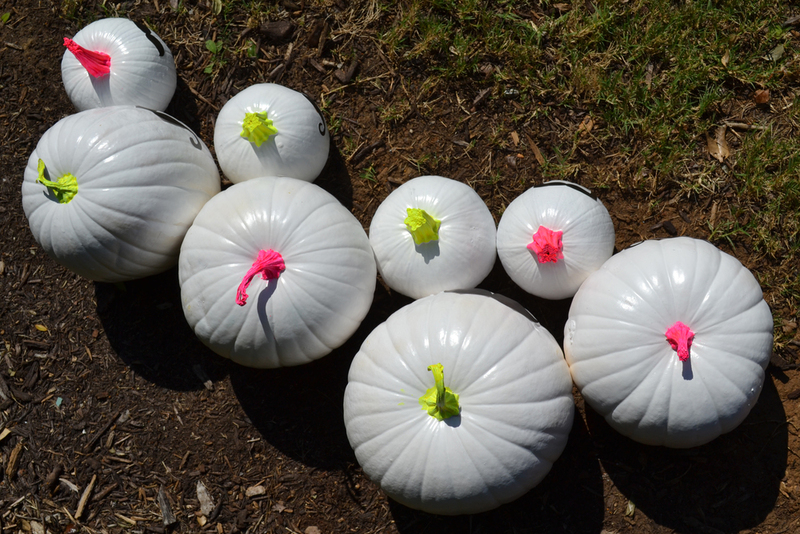 The spray paint gives the body of the pumpkins a much more even finish than white craft paint does. 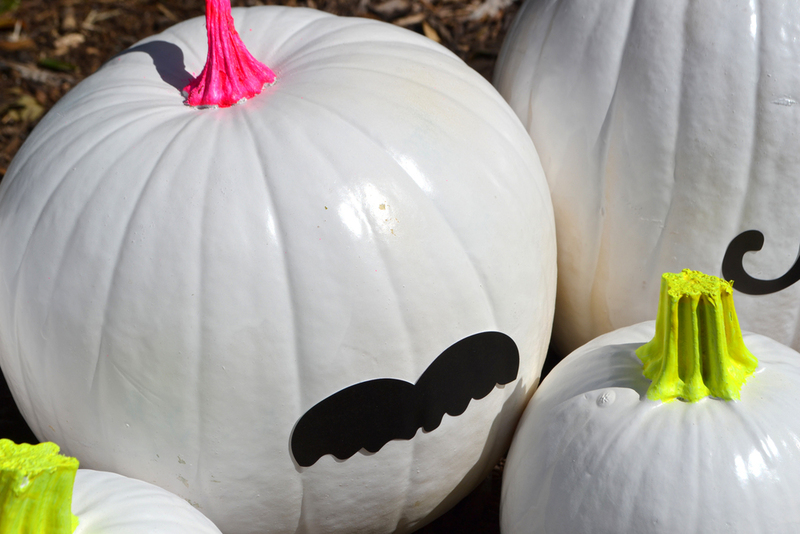 After the spray paint was completely dry, I painted the stems of each pumpkin in neon pink or yellow craft paint that I purchased at Michael's. 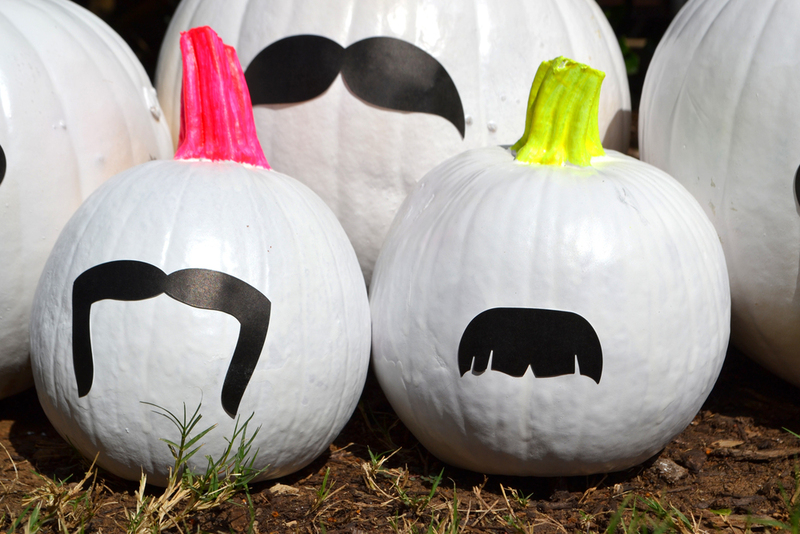 Last, I chose a mustache for each funky pump, and laughed harder and harder with every one I adhered. For more backstory on this project, go here. To see the Easter version of this project, go here.